First line apartment in La Mata Beach, Torrevieja. Amazing sea views, with 2 bedrooms and 1 bathroom in 65 m2, 10 m2 terrace, 5 meters from the beach , independent kitchen, facing north-east, ceramic flooring. 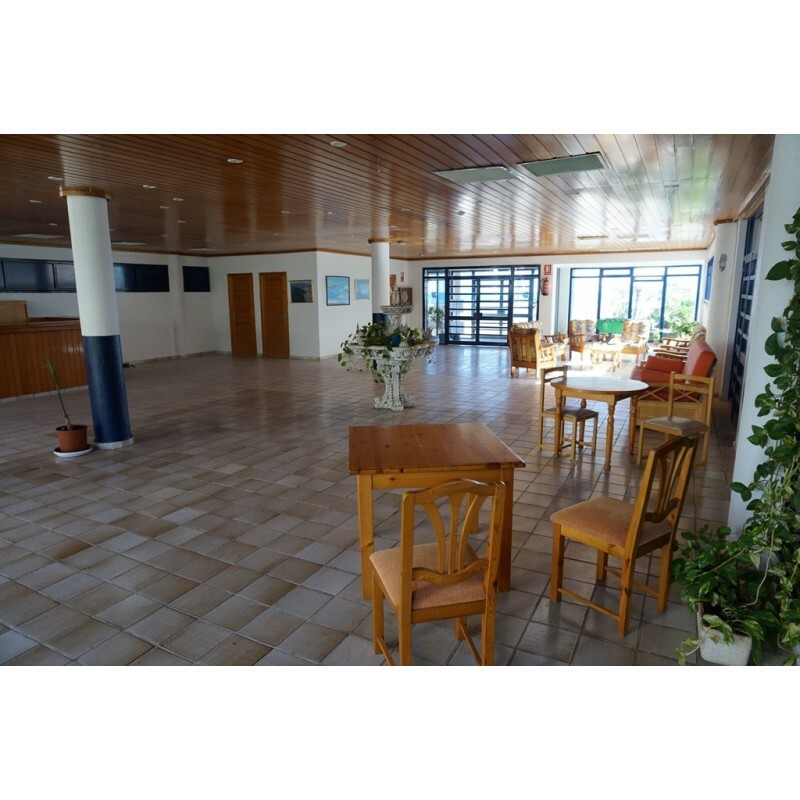 Extras : Adapted for disabled, built in wardrobes, lift, corner, furniture, communal swimming pool and tennis court. 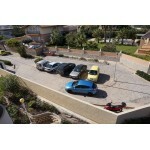 Torrevieja is situated on the Costa Blanca, approximately 40 minutes south of Alicante airport. 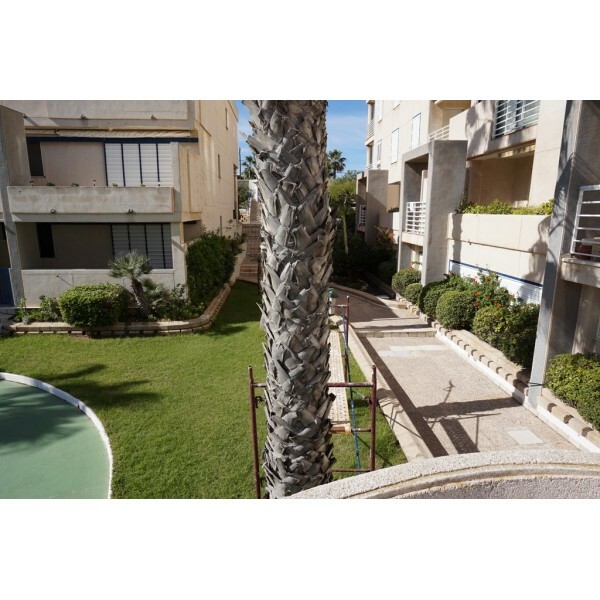 The town is surrounded by excellent urbanisations, all with pools and beautiful gardens and the whole area enjoys fabulous beaches with fine sand and crystal clear waters. Thousands of people from the north of Spain and northern Europe have set up home permanently in the town. The local people, are friendly and welcome both national and international tourism. English is widely spoken. All of the local beaches hold the European Blue Flag for 'Clean Sea' and excellent facilities. 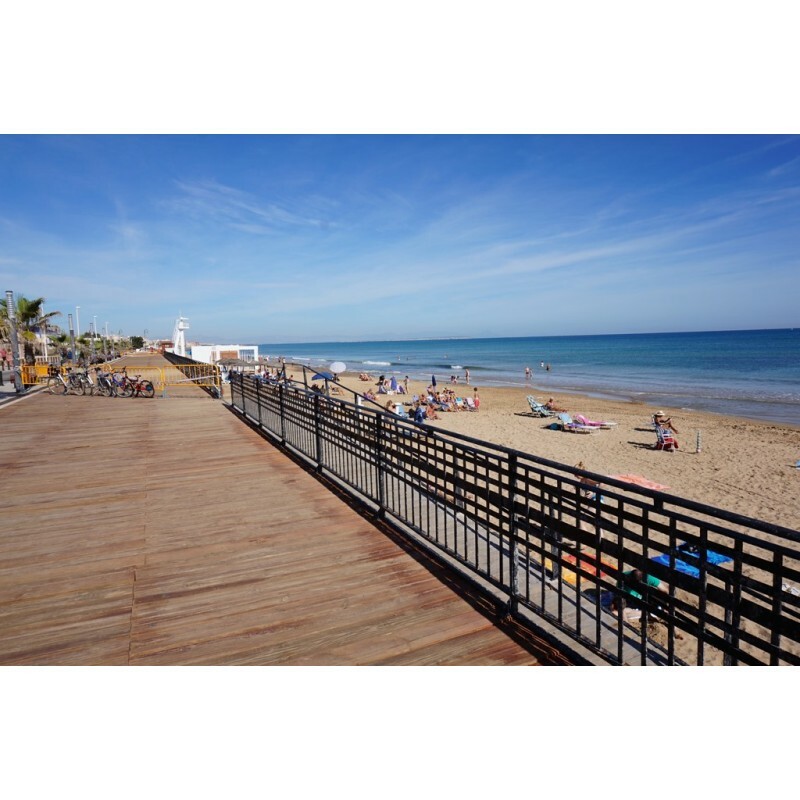 La Mata, Los Locos, El Cura, El Acequion and Los Naufragos together make up the beaches of the Torreviejan coast. 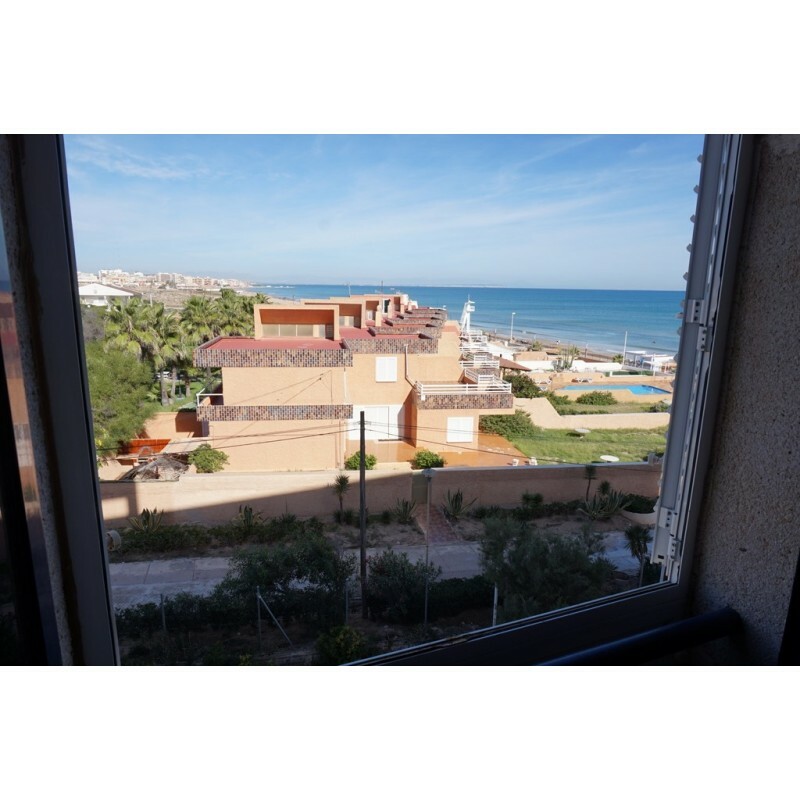 There are marvellous coves in the northern part, as well as the saline swimming pools, which can be found beside the Juan Aparicio promenade right in the centre of the town. The promenades and the fishing port are attractions in their own right for visitors to this part of the Southern Mediterranean. For lovers of ecological and environmental tourism, a visit to the lakes of La Mata and Torrevieja to enjoy a mudbath is recommended. The curative properties for a large number of rheumatic dermatological, heart and respiratory complaints are well known. 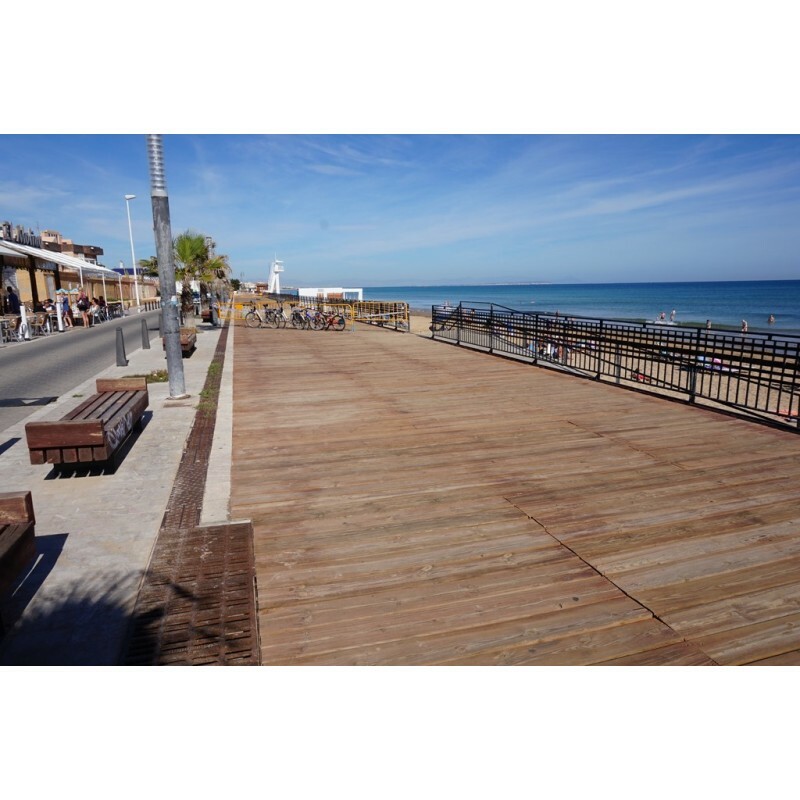 Torrevieja is also surrounded by two large natural saltwater lagoons, which form the well-known 'Salterns of Torrevieja'. Every Friday Torrevieja holds one of the largest open-air markets in Spain and sells all kinds of food, textiles, clothes and accessories. A smaller market can be found at La Florida on a Saturday. Street markets can be found every day of the week in different areas. 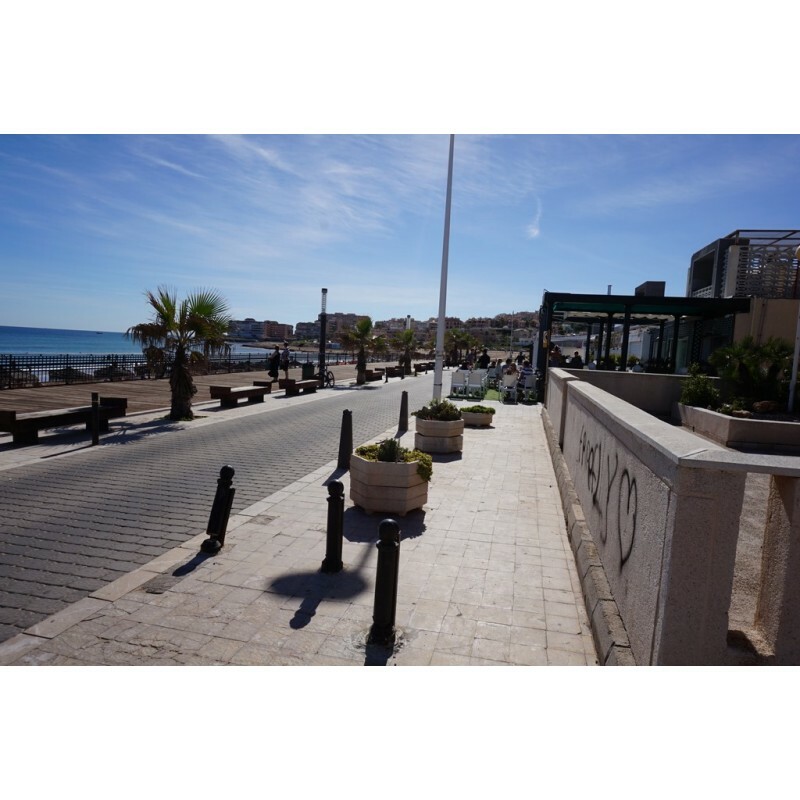 Torrevieja has a wide variety of restaurants catering to all tastes. You can try traditional Spanish, German, English and Italian fare. The town square is very picturesque. At Christmas it hosts a magnificent Nativity scene, which covers a large proportion of the square. 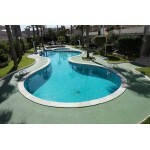 The Costa Blanca offers a variety of golf courses. 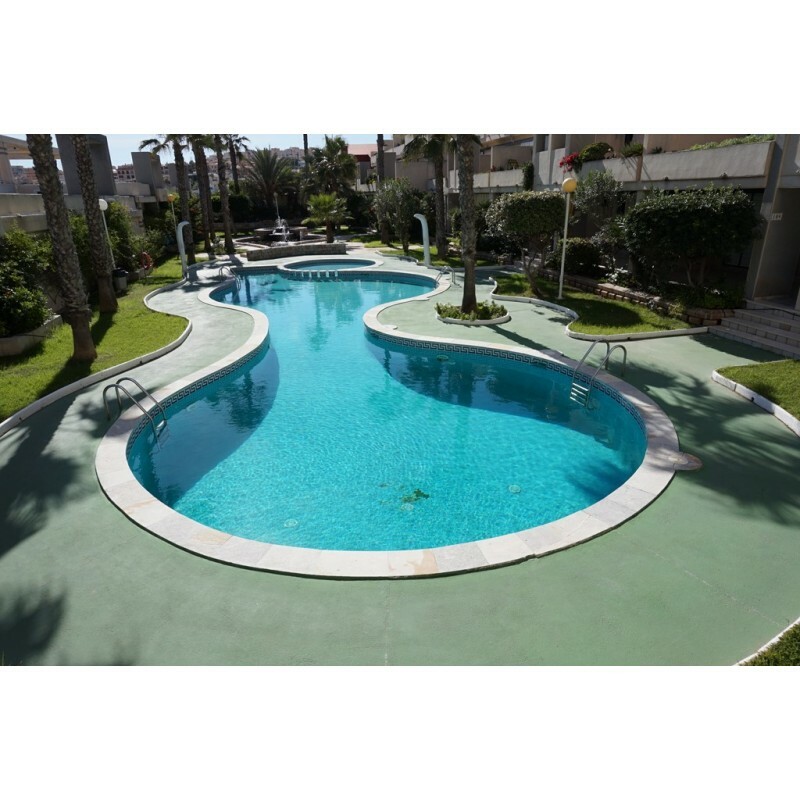 The three closest to the town are Villamartin, Las Ramblas and Campoamor. All three courses offer a different challenge. Villamartin, built in 1972, was the host for the European Tour 1994. The surrounding countryside has an abundance of orange and lemon groves. Distant mountain ranges with vines growing in the valleys, and ventas (roadside inn/restaurant) serving traditional fare at great value. All in all, an ideal holiday destination for the whole family, at any time of the year. 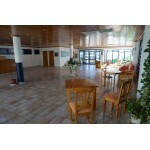 An ideal location for a summer or winter sun holiday with an average of 320 days sunshine each year. The area is regarded by the World Health Organisation as having the healthiest climate in Europe.